Recent flash floods due to heavy rains have destroyed the cotton belts of southern Punjab and Sindh, increasing the prospects of a shortage of the commodity and escalation in its prices in addition to hurting cotton-based exports. Within days of floods destroying the crops, the price of cotton has jumped by 13% to Rs7,000 per 40 kilogrammes against the previous rates of Rs6,200, according to market sources. Due to floods the targets for main Kharif crops might not be achieved this year, which will also affect agriculture output that contributes about 23% in the total national output. Rao Babar Ali, a farmer hailing from South Punjab said that every year rains start in September in South Punjab. But early rains in the southern belt have already destroyed at least 15% of the cotton crop, and if the rains continue the situation would be more alarming. Heavy rains cause various diseases in the cotton crop and a large quantity of water does not benefit cotton yields, he added. Agricultural experts also fear further damages to cotton as well as other crops in South Punjab and Sindh, as the Meteorological office has already forecasted above average amounts of rain in September. So far floods have destroyed almost 15-20% of the cotton crops, 10% rice, 30% sunflower, 40% onions, half of the tomatoes and green chillies along with other crops, they said. 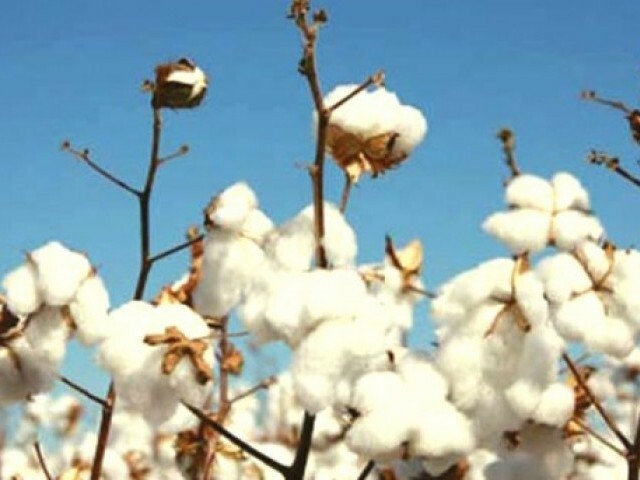 They added that cotton production in cotton growing districts of south Punjab namely Dera-Ghazi Khan, Multan, Muzafargarh and Layyah have been affected by 15% and in Rajanpur the ratio is 60%.